At Nanseikan we now have two beginners' courses each year. This Saturday will see the start of the second beginners' course for 2012. Training for beginners will be from 9am til 10am. Seniors will continue until 11am. 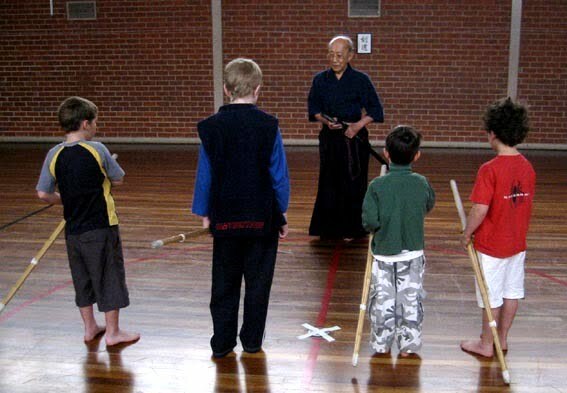 Everyone will start without bogu for the first hour, helping the beginners learn how to hold the shinai, stand in kamae and use Kendo footwork. After the first three weeks, beginners will join in for the whole of training. The beginners' course will continue until the end of term (15 Sept). The fee is $90, payable on the first training. Let's make everyone welcome and show them our best Kendo.